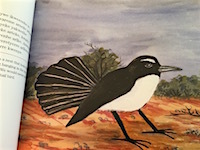 In Arrernte it “sings its own name”, in English it’s a willy wagtail. 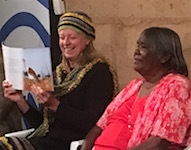 And it’s one of the birds featuring in Therese Ryder’s Ayeye Thipe-Akerte: Arrernte stories about birds, launched at the recent NT Writers Festival. KIERAN FINNANE reports.